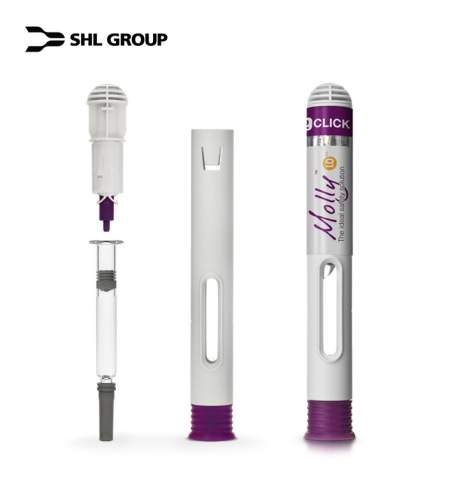 SHL, the world’s largest privately-owned designer, developer and manufacturer of advanced drug delivery devices, announced today that SHL Marketing Director Steven Kaufman will be presenting at the 2014 PDA Japan event in Tokyo, Japan. According to industry reports, injectable biologics are one of the fastest growing segments of the biopharmaceutical market today. Significant revenues are now being generated by blockbuster biologics, and with other injectable biologics coming to market in new therapeutic areas, a greater emphasis is being placed on combination products that will help patients to take these medications. The majority of these biologics, including follow on biologics or biobetters, biosimilars and even generic injectables, will generally require more effective delivery systems. This has led to a corresponding surge in the demand for various injection devices. An example of such devices is the auto injector, which allows the patient to safely self-administer the drug in the comfort of their own home. However, to prepare for the incoming wave of biologics it has become more essential for device suppliers, PFS & cartridge manufacturers, filling companies, etc. to cooperate at a deeper level. This involves communicating earlier to share knowledge and discuss technology innovations to collaboratively introduce robust solutions. For example, PFS suppliers have to consider critical dimensions for auto injector devices such as the cut flange radius, which can impact final assembly of the PFS into the auto injector. SHL will be demonstrating our newest AmberTM auto injector at our exhibition table at the event. We welcome both customers and suppliers to visit our table for inquiries. For additional information visit www.shl-group.com or contact us at info@shl-group.com.